Every time I teach a kombucha workshop (Over 75+ in my last 7 years as an RHN) I always get a TON of questions and a lot of overlapping ones. I thought it was due time to put some answers up on here to help those home brewing! If you are just getting started with fermented foods, WELCOME to the world! Q: Can I grow my own SCOBY from a purchased bottle of kombucha? You can do anything you set your mind to, however, there are some potential drawbacks to this route. Back in 2010, there was the "great kombucha recall" in the US. Kombucha was pulled off store shelves because it had been feared that some brands were too alcoholic to be sold in grocery stores. The 'big guys' then reformulated their kombucha and put it back on store shelves promising that their kombucha would no longer contain alcohol. But whatever they did, a lot of people are finding they are unable to grow a healthy-looking scoby from this store-bought kombucha. Some companies have even started adding a supplement called GBI-30 to one of their brands' of bottled booch. GBI-30 is a patented pro-biotic that is non-native to the Kombucha culture. Somehow, it prevents the growth of alcohol, but it can also make the replicated scoby's weaker. Since it’s not a natural part of the fermentation process for kombucha, I can imagine it is also somehow messing with the process of growing a scoby from the bottled brew. Even with those people who did have success with growing another scoby from a bottle of store-bought kombucha, it could take up to 3 months to get a fully-formed culture. 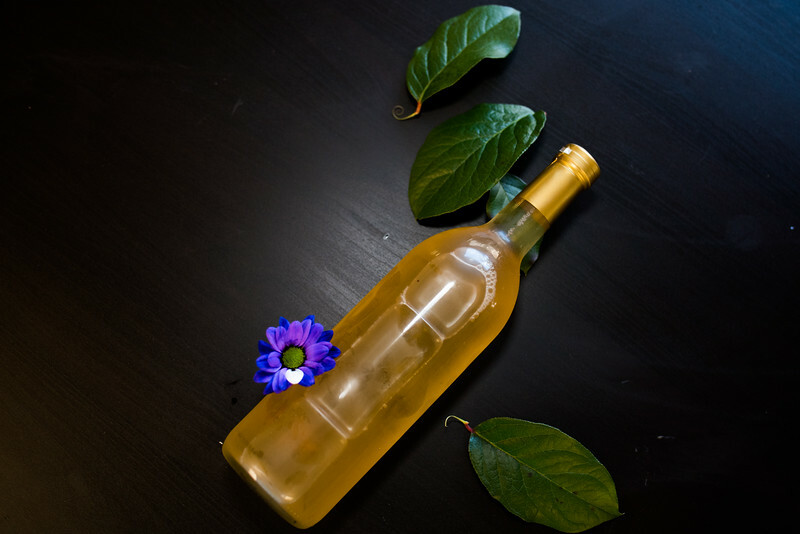 If you still really want to try to grow your own from commercial kombucha, you'll need to find a 'plain' kombucha bottle, and then research or type "grow kombucha scoby” on YouTube to find how to videos. You can also join our online fermentation group for the Okanagan, called "Fermenting the Okanagan" where people are readily learning, sharing and trading cultures! You can also purchase a SCOBY for your brew's from our shop here, for pick up in Kelowna, BC, Penticton, BC or delivery to Osoyoos or Oliver BC. Q: How do you store the scoby? What if I want to stop for a while, can the scoby be stored until I want to start again? You can store a scoby absolutely! Just leave her in a glass container at room temperature. Keep the scoby covered in kombucha liquid. Keep the container covered to keep bugs out, mason jars work great! They used to tell us to store our scoby in the fridge, but this is not necessary at all, even though 1000 websites online tell you to do this. The truth is it will put your culture to sleep, the natural acidity of the liquid helps to preserve the beasties in the scoby and the scoby will be happy there for long term. You can absolutely stop for awhile, add some sugar and kombucha liquid to a jar with your scoby to feed it a bit. Then you are free to travel or stop brewing for longer-term only to return to a still-healthy kombucha culture! It's a really good idea, since fruit flies can contanimate your brews, and it hurts to lose a whole batch to the little buggars. For home brew operations, simply cover your kombucha brew container with a clean tea towel secured with a rubber band. During the second ferment, place it in a sealed jar or bottle. Q: Does kombucha need to be brewed out of direct sunlight? Again there are differing opinions about this online, but the most general suggestion is that kombucha brews best when out of direct sunlight. This means it can still be on your counter top for home brews, just cover it with a tea towel. I have brewed in sunny Okanagan sunlight with no problems, but its not wise to do it regularly since hot sun can raise the temperature of your brew and cause damage your culture. Leave it to brew in an area with good air flow and not near a garbage can. Q: Can I use screw top or flip top bottles for storing finished kombucha? Q: What if I brew other ferments in my kitchen, will it be okay? If you brew other ferments like kefir or sauerkraut, there shouldn't be any cross-contamination. However if your house is full of beer the yeast can travel over and affect your brews. Leave as much space as you can between your home brewed wine or beers and your kombucha. Other food ferments like pickles or carrots will be fine! Q: How I do prevent my bottle(s) from exploding? Make sure to off-gas during the second ferment, especially if you are using fruit. c) any combination of the above! Q: Why doesn’t my kombucha have any carbonation? Kombucha usually becomes lightly carbonated during the initial brewing when it is covered with a cloth or coffee filter, etc, due to the carbon dioxide given off by the fermenting cultures. The longer it sits, the more bubbly it becomes. A young brew (7-10 days) will be less bubbly than an older brew (14-21 days). Heat will also speed up the fermenting process (but don’t get things too warm, 23°-30°C (or 70°-86°F) is preferred). Check your recipe to make sure it was followed precisely. Secondary ferment for increased carbonation: Placing your kombucha into a sealed jar with or without additional flavoring will trap the bubbles and should increase the carbonation. Q: I bought commercial (store-bought) kombucha and the “vinegar” taste was way too strong. A lot of the kombucha that we get here in the Okanagan is from either Quebec or California. This is a long way for ferments to travel and even when kombucha is refrigerated it is often still fermenting. Refrigeration slows fermentation, it does not stop it. By the time the 'big guys' kombucha reaches us it is often much more vinegar-tasting due to this. It's not fresh. Q: Can you eat a scoby? I don't know why, but almost every workshop someone asks this question. It always makes me super-laugh! So I’ve actually eaten a scoby, on a dare, I won't say whether other fermented beverages were involved or not, but I think they can kind of have that same slurping fun like oysters. It's not my thing, but some people might dig it. Yes, absolutely you can eat them. So far, people have been experimenting with drying them and making scoby jerky, scoby candy, or using the kombucha culture “leather” to make clothing. You can also compost them or save them up in jars as back ups or to give to friends. Here are some ideas on my pinterest page. Q: What is the ratio for flavoring with herbs? The ratio is created based on your taste. No matter how much flavouring you add (herb or fruit) the longer it sits, the stronger the flavour will get. So the best 'recipe' is just to follow your taste buds, checking once or twice a day! Remember as they age, they become more sour, so you don't want to do your secondary ferment for much more than 3-5 days. The best fun in creating your own brews is experimenting with flavours and ratios, but you can find some great recipes here though if you are really concerned. Q: When did people first start brewing kombucha? No one really knows - the question is steeped in mystery and suspense. Ooooooooh. Magic. According to Wikipedia, the first recorded use of kombucha comes from China in 221 BC during the Tsin Dynasty. It was known as "The Tea of Immortality." It has been used in Eastern Europe, Russia and Japan for several centuries but there isn't much about it in history books. No one even knows how the first culture was ever created, so I'll leave that up to your imagination! Join our Fermentation Group on Facebook for more about your digestion, holistic nutrition and the real food movement, brewing stories, fermented foods, probiotics and nutrition education in the Okanagan! Raina is the founder of Experience Kombucha, the Okanagan's original kombucha. Did this post help you? If you have questions other than what's above, I read and respond to all my email, so just drop me a note here! Now go forth and brew.